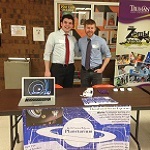 To stimulate learning and creativity for the Truman campus and broader community through interactive programming and opportunities. 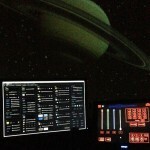 Find out what's happening at the planetarium. 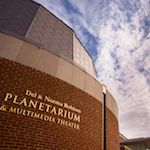 Interested in holding an event in the Planetarium? Send us an email, give us a call, or request a reservation! 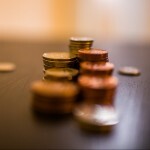 Do you want your class's field trip to be the talk of the school? 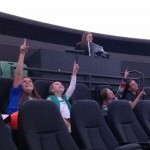 If so, bring your students to the planetarium for an adventure they won't soon forget. 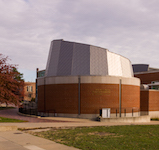 Located in Magruder Hall on Truman's campus, the facility is an academic resource to support Truman courses in the sciences and fine arts, a community resource for regularly scheduled shows for the general public and an academic outreach by providing programming for local K-12 and homeschool populations. 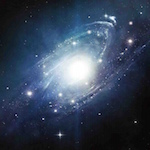 Your contribution today will help pay for licensing new shows, ongoing maintenance costs, equipment purchases, and upgrades to our planetarium and production studio. 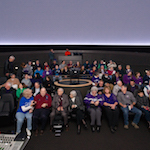 Get to know the student workers and faculty you will see during your planetarium visit.